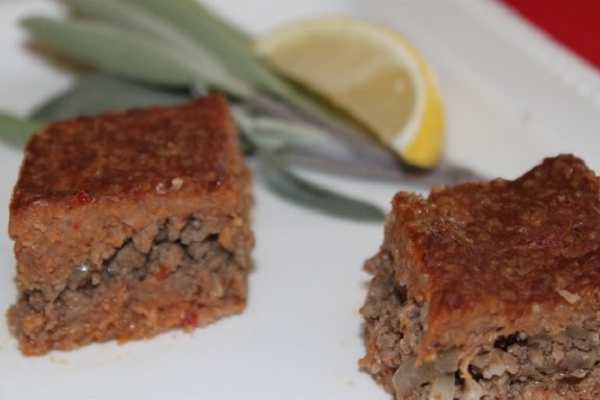 This layered meat and bulgur casserole is a favorite dish found throughout the Middle East and is known by its native name Sini Kofta or Kofta bi Sinia. 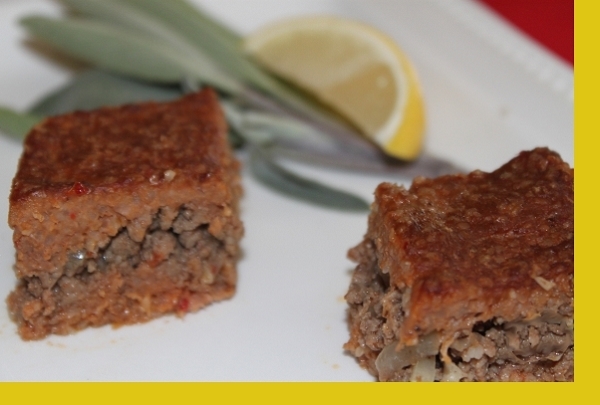 Each country has it's own variation using varying degrees of bulgar, meat and spices. This particular one is the Armenian recipe handed down generationally. If you're in the mood for something different and exotic, this dish will not disappoint and will challenge your palette beyond its norms. It's perfect with a side salad! 1. Preheat over to 350 degrees. 2. Bake uncovered for about 45 minutes or until golden brown. 3. Serve with yogurt. This is one of my favored Maria's Gourmet Kitchen items on her menu. It is really a gourmet food, delicious, and I believe healthy too. Also, no work is involved for me. It is ready to bake, and in 45 minutes the dinner is ready! We had a wonderful Middle Eastern dinner last night also called 'kibi be seniyeh'. Many thanks to 'Maria's Gourmet Kitchen'. Being a home maker and so a cook myself for my family and guests, I can only compliment Maria for such a delicious dinner... and for helping me save some time for my other family responsibilities! If you like to try different cuisines and flavors, this one is a must. Absolutely delicious!